Life’s about the journey, not the destination—right? Driving to San Diego is dark times. You’ll inevitably hit the worst of either L.A. or San Diego traffic—or, inexplicably, both—and wind up on the road for twice as long as you expected, just crawling along belching fumes into the atmosphere (which seems bad). So, while planning a hypothetical weekend jaunt down to San Diego, you look into other options. Of course, it’ll first cross your mind to take Amtrak, which would seem to be The Right Thing To Do, but every time you look at tickets, they’re barely across the borderline into “too expensive” territory (there’s a reason for that). A one-way trip for $35 definitely isn’t the worst if you’re making the trek alone, but add event one friend to the picture and the cost of gas starts to look like pocket change. The same goes for Greyhound, which on weekends tends to land in the same price range as Amtrak. So because human brains are generally pretty bad at factoring in the costs of wear and tear and depreciation, you’ll just end up driving, as per usual. But there is Another Way, and it involves glorious Metrolink. I know all you local Transit-Oriented Teens out there are rolling your eyes, like, “Been there, done that,” but for too many people the Metrolink is kind of a mystery. This is especially the case in terms of getting to San Diego, because Google Maps will never suggest it as an option—even though weekend day passes are a meager $10. The downside is that the Metrolink Orange County Line (which leaves from Union Station) only goes as far as Oceanside. That’s not where you want to be. You want to be in San Diego. So, let’s say you take one of the four Saturday Metrolink trains from L.A. to Oceanside. You leave at 8:40 a.m., and you arrive at 11ish. The next leg of your as-of-yet-remarkably-inexpensive journey involves the COASTER—the commuter train linking Oceanside, San Diego, and the assorted communities in between. The key word here is “commuter,” which means the train runs most frequently on weekdays, so if you’re traveling on a weekend morning, you’d really better catch the 11:08 train or you’re kinda screwed. That’ll run you $5.50, which puts the total cost of this trip so far at $15.50. Not bad. Of course, since this is a hypothetical trip, and you’re trying to find the cheapest option for travel…well, there’s one more possibility that will save you literally only one dollar. Right at the Metrolink stop in Oceanside is the delightfully sleek SPRINTER (transit stuff is always styled in all-caps in San Diego, don’t ask why) which, for $2, will whisk you inland and seemingly off-course to Escondido. It takes about an hour. 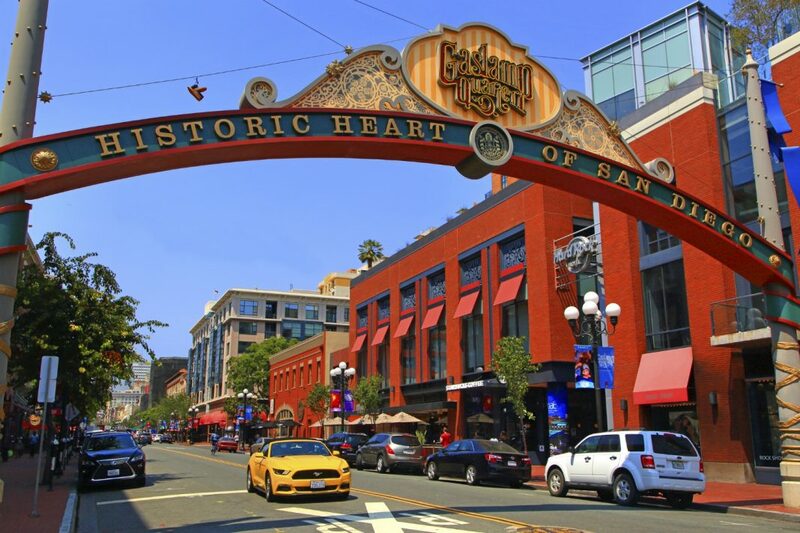 From there, you catch the trusty 235 rapid bus for just $2.50, which, after another hour, will deposit you right in the heart of downtown San Diego. Boom. $14.50. Granted, it’s now, like, early afternoon and you’ve been traveling for at least four hours. On the bright side, that’s peak day-drinking time and you’re now in, arguably, the craft brewery capital of the nation with a couple beers’ worth of extra cash on hand.